Rod Swanson in his workroom. When we stopped in Perham, Minnesota for lunch with our friend Jana, she took us out to see her father’s tractors. When she first mentioned it, I thought she meant he collected and restored tractors. 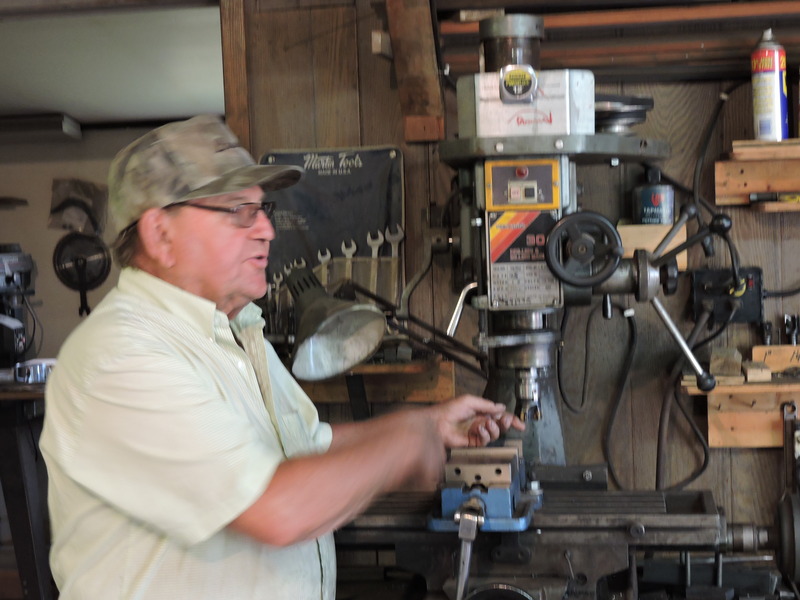 Rod, a retired railroad employee, takes raw metal bars and makes models of tractors. He has made roughly 160 tractors [and a few trucks and cars]. We are always grateful when we come upon unexpected and often unheralded craftsmanship. I wonder how many other such craftsmen we pass as we wander down the road. Ray and Alie (Ralie) are a retired couple who love to travel. Even during our working years, we squeezed a trip in whenever we could, often when we had to stretch the budget to do so. We have been fortunate to vacation in all 50 states, all the provinces of Canada and one territory and a little more than 50 countries. We like to drive, but we particularly love to travel back roads to find unusual sights, people, and experiences. This entry was posted in Travel Logs and tagged Craftsmanship, Minnesota, Model building, Model Tractors, Perham Minnesota, Travel. Bookmark the permalink. Jana tells me Rod worked on road construction for Northern Improvement. I guess I “heard” Northern Pacific. He is amazingly gifted. Such great tractors!